Eventually, the conventional ways of manufacturing microprocessors, graphics chips, and other silicon components will run out of steam. According to Intel researchers speaking at the ISSCC conference this week, however, we still have headroom for a few more years. Intel plans to present several papers this week at the International Solid-State Circuits Conference in San Francisco, one of the key academic conferences for papers on chip design. Intel senior fellow Mark Bohr will also appear on a panel Monday night to discuss the challenges of moving from today's 14nm chips to the 10nm manufacturing node and beyond. 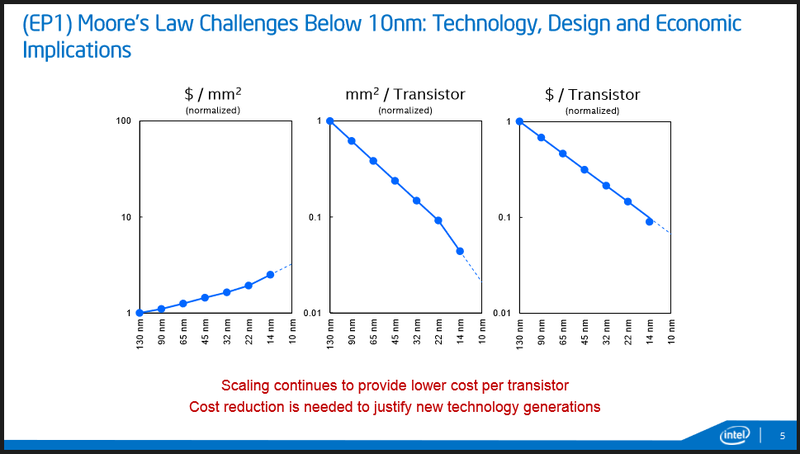 In a conference call with reporters, Bohr said that Intel believes that the current pace of semiconductor technology can continue beyond 10nm technology (which we would expect in 2016) or so, and that 7nm manufacturing (in 2018) can be done without moving to expensive, esoteric manufacturing methods like extreme ultraviolet lasers. Why this matters: The discussion is anything but academic. This year marks the 50th anniversary of Moore’s Law, Intel founder Gordon Moore’s axiom that transistor density doubles about every eighteen months. In the real world, that’s meant that the silicon chips that power PCs, phones, servers and more can run faster and consume less power as they move from generation to generation every two years or so. The process to make silicon chips is complex—an Intel primer on the subject details some of the steps—but the gating factor is light itself. Chips are etched out of silicon using light, and chip makers have to wrestle with the wavelengths of light itself to continue to eke out new improvements. If the industry collectively fails to do so—or fails to do so cost-effectively—chip improvements will halt. Intel's diagram marks the improvements in cost and transistor size over the last few process generations. Intel is on the cutting edge of silicon manufacturing, however, and Bohr’s role as its senior fellow of logic technology development carries weight. 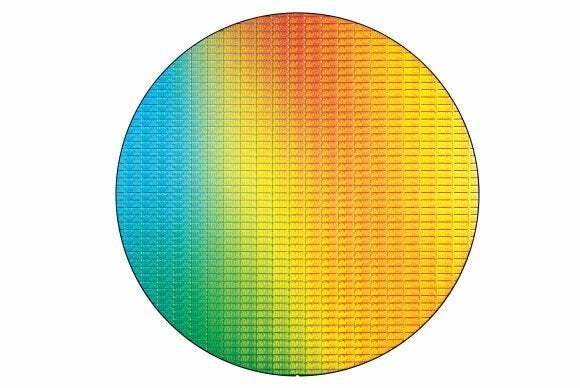 Intel will present five papers at ISSCC, three of them covering the current 14nm technology. It will also participate in the 10nm panel, where Bohr said he expects “spirited debate and discussion” on what the industry needs to do to get there. Intel was already forced to delay its 14nm “Broadwell” chips by several months due to manufacturing issues, and hopes to avoid that during the 10nm generation. Bohr said that Intel’s pilot 10nm manufacturing line is running 50 percent faster than the 14nm line in terms of major steps per day, which will keep Intel’s 10nm development on track. That's good news for the majority of the PC market, which are powered by Intel's chips. But if the chip industry as a whole can eke out a few more years without radical changes in its manufacturing technology, that's even better. Clarification: Intel hasn't publicly released a manufacturing timeline, specifying when certain manufacturing processes will enter production. The dates mentioned represent PCWorld's estimates, based on a typical two-year gap between the introduction of new process technologies.